Close-Out Sale! Only size 6 mo is left. Rich Solid Russet Brown Knickers with the Charming look of yesteryear England. 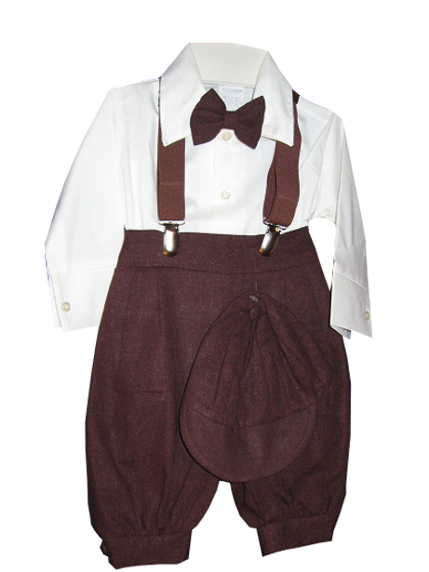 This 5-piece set includes an ivory shirt, clip-on bow tie, cap, brown elastic suspenders, and the knicker pants. The shirt is 65% cotton, 35% polyester. The knicker pants have an elastic back. The outfit runs fairly true to size, but the hats can be small. Made in USA. 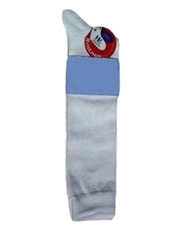 Machine washable, gentle.